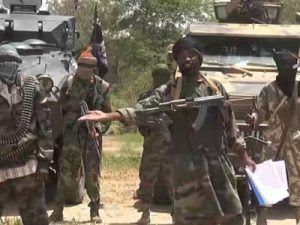 The defence headquarters (DHQ) says Boko Haram is plotting to carry out large scale bombings during Ramadan. In a statement by the spokesman of the DHQ, Rabe Abubakar, citizens are advised to be vigilant and to report suspicious persons or objects to security agencies. “Against this background, the defence headquarters (DHQ) wishes to once again advice the general public to be watchful of strange persons and objects in their localities particularly, around places of worships and to promptly report same to security agencies. “It is further to advice that adequate security and surveillance be evolved by respective places of worship to forestall any unwholesome acts by some unscrupulous elements. “The DHQ wishes to reassure law abiding citizens to go about their normal businesses while efforts are being made to eliminate the remnants of the terrorists from their hideouts as well as addressing other security challenges in the country,” the statement read.